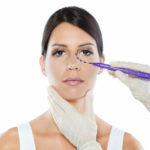 WHERE IS ANTI WRINKLE INJECTIONS TREATMENT USED? Especially, it is used to remove the forehead, eyebrow, eye contour lines, upper and lower lip and neck lines which are caused by the movement of the facial mimic muscles. Other areas of use are armpit, hand and foot sweats, spasms and migraine pain. The area to be treated is anesthetized with local anesthetic cream and waited for 20 to 30 minutes. After the area to be applied is cleaned, the fine-tipped needles are injected into the muscle in small doses. A 20 minute session is sufficient for the application. CAN THE ANTI WRINKLE INFECTIONS APPLICATION DO THE RELIGIONS? Every doctor, dentist and trained nurse in the United Kingdom can practice. In order for the desired result to be obtained, the treating person must know the facial anatomy and the working direction of the muscles very well. WHEN THE ANTI WRINKLE INJECTIONS EFFECT HAS STARTED TO SHOW? Generally, the effect is mostly complete on the seventh day, starting on a few days, although varying depending on the person and the background. Within two weeks, a complete result is obtained. WHAT IS ANTI WRINKLE INJECTIONS PROCESSING? The nervous system is a medicine that disturbs the transmission, that is, the nervous order does not enforce the order; so the muscle does not work after application. anti wrinkle injections, that’s the point of the process. It usually lasts for 4-6 months, although it differs from person to person. As soon as the effect is over, the trading area becomes the old one. When the same region is made five or six times anti wrinkle injections, the effect lasts longer. the use of recommended fillers and other cosmetic products for wrinkles by your specialist physician may prolong the duration of action. CAN THE RIM BE APPLIED? Anti wrinkle injections has not caused damage to any organism in patients, even when high doses have been applied for therapeutic purposes for many years. There is a slight change in the treated area for a few days. Loss of consciousness may be felt during injection. Occasionally temporary eyelid drops can be seen. When injecting, a small needle capillary comes into contact with the capillary, resulting in bleeding around the eye for a few days may occur during the moribund. The disorders that may occur after anti wrinkle injections are temporary, and they get up in the sixth month at the latest. Anti wrinkle injections may not work in very few people. WHICH PATIENTS WHO USE ANTI WRINKLE INJECTIONS IN MEDICINE TREATMENT? Spastic paralysis; facial paralysis, migraine, strabismus, headaches, and excessive sweating can also be applied. Anti wrinkle injections reduces sweating by preventing the stimulation of sweat glands. It is applied under and under the skin to reach the bristle under the armpit.